Abigail Reed has work accepted for 'Drawn' at Royal West of England Academy. We are thrilled to announce that gallery artist Abigail Reed has had a work accepted for 'Drawn' - an open submission exhibition at Royal West of England Academy. The exhibiiton aims to "explore the boundaries of drawing and celebrate it as both an autonomous discipline and an interdisciplinary tool." 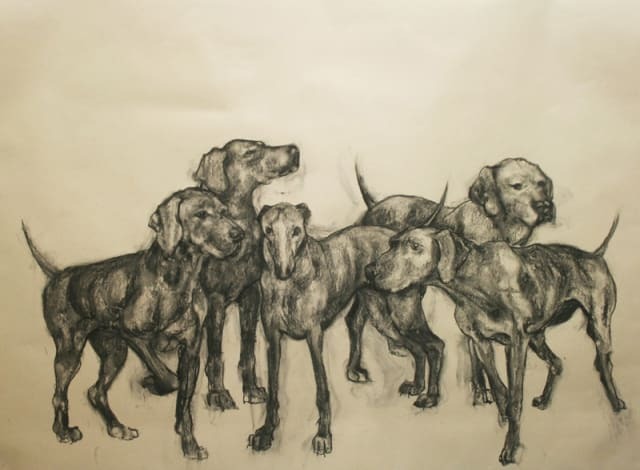 You can see Abigail Reed's 'The Hounds' on display in Bristol, 1 April-1 June 2017.